Russian President Medvedev welcomed Californian governor Arnold Schwarzenegger on October 11 in his residence outside Moscow. After a short conversation, the president invited his guest of honor to visit the Russian scientific center of Skolkovo, which is known in Russia as the Russian version of Silicone Valley. On Monday morning, the Californian governor decided to explore Moscow’s every day life and took a ride in the Moscow subway. He traveled from station Okhotny Ryad (near Red Square) to Novokuznetskaya. The visit to the Moscow metro started with a confusing situation. Schwarzenegger did not receive a metro ticket and got jammed in the ticket gate when trying to pass through. 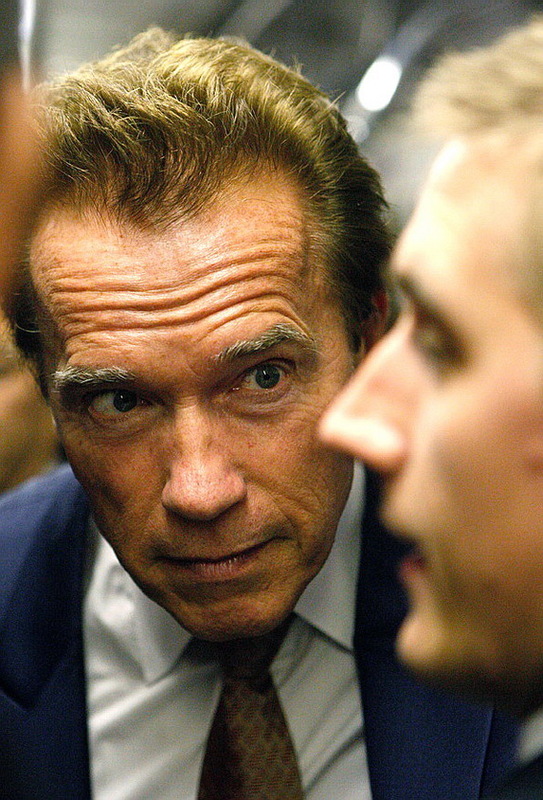 Schwarzenegger reminded Medvedev that it was not his first visit to Moscow. He had visited the Russian capital before to take part in the shooting of his film Red Heat and open Planet Hollywood restaurant. 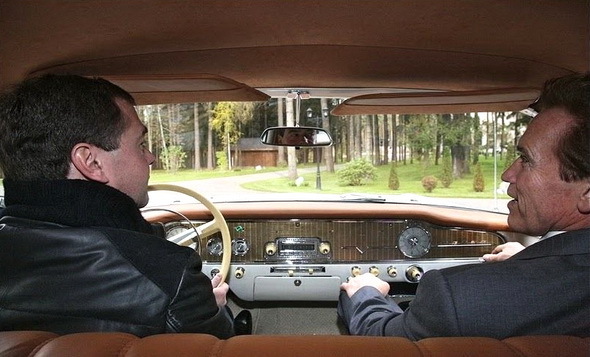 The governor added that he could never think that some day he would come back to Moscow as the governor of California. The Russian government plans to invest nearly 200 billion rubles in the Skolkovo project. Skolkovo is said to consist of five departments: academic science, subsidiaries of leading institutes, an educational research center, offices of major companies working in the field of science and business, and infrastructure. Afterwards, Schwarzenegger visited the office of the American Chamber of Commerce in Russia. “My love for Russia began when he was a kid. I was in Vienna in 1961, watching weightlifting championships, and the Russians just destroyed everybody. There was that guy named Yury Vlasov, who was the heavyweight champion, and he was gigantic, he looked good, he looked like an intellectual, he had glasses on, then I found later on that he was an engineer and that he was a very well educated man. He had tremendous strength, determination and endurance. He was that monster guy and I said to myself – this is what I want to do when I grow up,” the governor said. Arnold Schwarzenegger also shared his thoughts about his future, after his term as the governor expires. He particularly stated that he had many opportunities to choose from: making films, writing books, and do something to help California.